Let’s Encrypt is a good option for enabling HTTPS on blogs or small websites. Let’s Encrypt can generate TLS/SSL certificate for any domain, subdomain without any cost and use on your server. It also provides an option to auto renew TLS/SSL certificates. 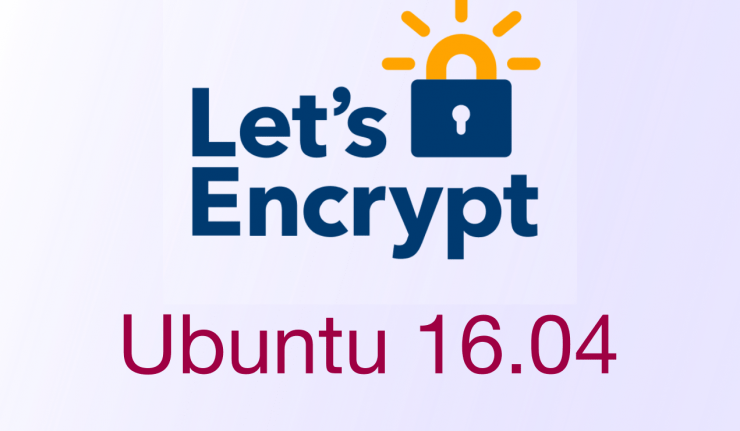 In this tutorial we will know how to install Let’s Encrypt certificate on Ubuntu 16.04 server for domains. Follow this link to Install LAMP on Ubuntu 16.04. Step 1: Install Git and clone the Let’s encrypt to /opt. Step 2: Generating a Let’s Encrypt SSL certificate. Creating an SSL certificate for multiple domains is very easy. We can use the -d switch to add as many domains as we want. We can issue certificates containing up to 2,000 unique sub-domains per week. After generating SSL certificates, you will be able to increase the security of your website by forcing your websites to redirect to the SSL-protected version of your website. Let’s Encrypt certificates are valid only for 90 days by default. Let’s Encrypt provides a utility to automatically attempt to renew all certificates at a time your choice by setting up a cron job. The cron job we have just created will renew an TLS/SSL certificate every Monday at 1:21 A.M. By running the following script: /opt/letsencrypt/letsencrypt-auto renew.